Going Mamarazzi: Ready for vacation! Hannah and I did some Target vacation shopping today. 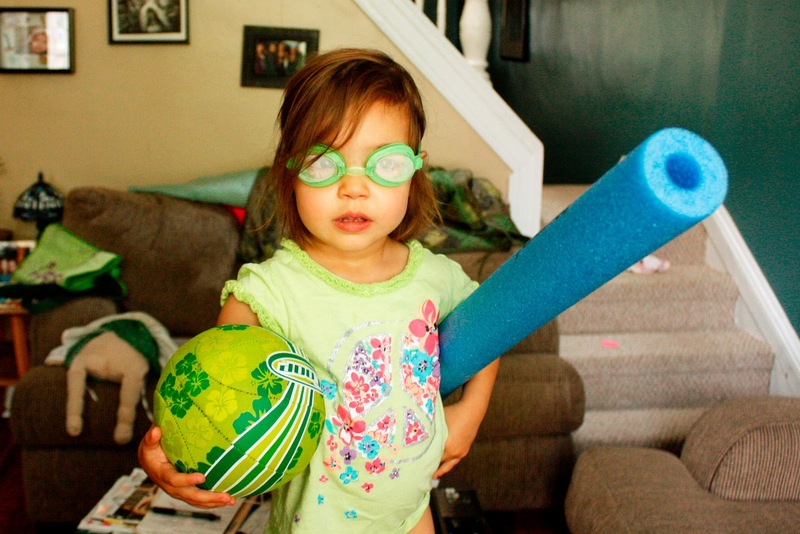 Among other random things (cat food, travel bottles, juice boxes, kid size camping chair), Hannah picked out a swim noodle, googles, and a pool ball which she enjoyed modeling for Daddy when he got home. OMG!!! I need this picture!! You are such a good mommy; letting her express herself and pick the color of her accessories!!! Will you be around for HonFest?!??! Let's try again. Giggles! So cute! Looking forward to the pics of your vacation. Have an awesome great time!! How cool is that! I updated my profile and the comment went through. HUmmm.